Easily do Musically Sign Up with this guide here. Musically Account registration is provided in this website i.e Musical.ly. Social Networks are the thing of today, and they are most widely popular with the teenagers and young adults. Now, you surely know about Facebook, Instagram, and all; but do you know about Musically? Well, whatever the case, we’ll see the method for Musically Sign Up Account Registration. Making an account in Musically is not that much of a big deal, but for you new users, it is inevitable. You would obviously be able to figure the process out, but it would be much faster with our help. There are more than one ways for Musical.ly Sign Up. So buckle up because we are going for a fun ride. In the next section, you will find a systematic step-by-step procedure of how to do Musically Sign Up. Let’s start. Musically is a social media app that lets you record videos along with adding a soundtrack of your choice and post it online. You can add filters, effects like slow and fast motion, time lapse, etc. Users can chat with their friends, make a video with other users, etc. Now, there are many more features, but we ain’t here for that. You can check out our other posts for that matter. Follow these steps to get yourself a Musical.ly Account in a very easy fashion. Know that you can’t make an account from the official website, so you gotta have the app on your phone. Get your Android and iOS versions from the App Stores. Once you have installed the app, open it and the first thing you will see is the home screen where there are two options for sign up and log in, one for each. As you don’t have an account, tap on “Sign up”. A small pop-up will appear before you with four options for making a Musically Account. Tap on “Phone number”, then enter your number and click “Send Confirmation code”. 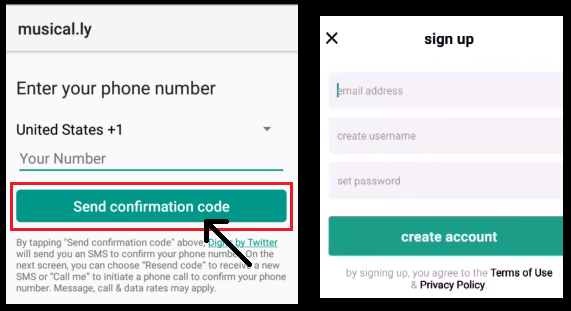 You will receive a code which you have to then enter in the app along with a unique username and password to make an account. The second method is to Musical.ly Sign up using either Facebook or Instagram. Select either one and enter your respective login details of those apps. Then choose a username and password and you will have an account. The third and final method is by using an email address. Enter your email address, username for your account and the password. Tap on “Create” and the final step is over. 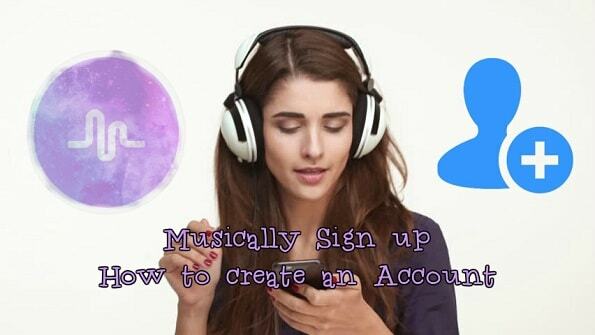 In this way, you can get a hold of an account through the Musically Sign Up account. You can choose either one of the above-mentioned methods and they all work fine. But I recommend you use your phone number or email because they can be more helpful in recovering your password if you ever forget it. This article accounts for everything it is necessary to know before making a Musically Account. If you have found this post on Musically Sign Up Account Registration inadequate in any way, then we would love to hear from you.